With the 2019 Rugby World Cup, the 2020 Olympic and Paralympic Games, praise for Japan's (somewhat surprising) affordability, plus new direct flights from British Airways, there's never been a better time to explore this beguiling archipelago. From Sapporo to Hiroshima and the places in between, here's an introduction to five of Japan's big cities. Tips include what to see and do, plus day trips, where to shop and stay to help you plan your escape to this enchanting nation today. Getting to Japan: you can book great value flights and holidays to Japan direct with British Airways. Fly to Tokyo and, from spring 2019, Osaka direct from London Heathrow. Where to begin with Tokyo? The capital is often portrayed as a hotbed of 'weird' or a Blade Runner-esque assault of neon, hustle and noise. In fairness, it does have its unusual and futuristic moments. Home to 13.5 million, it has its crowds, too. And its reputation for frequently being on the cutting edge certainly holds up. 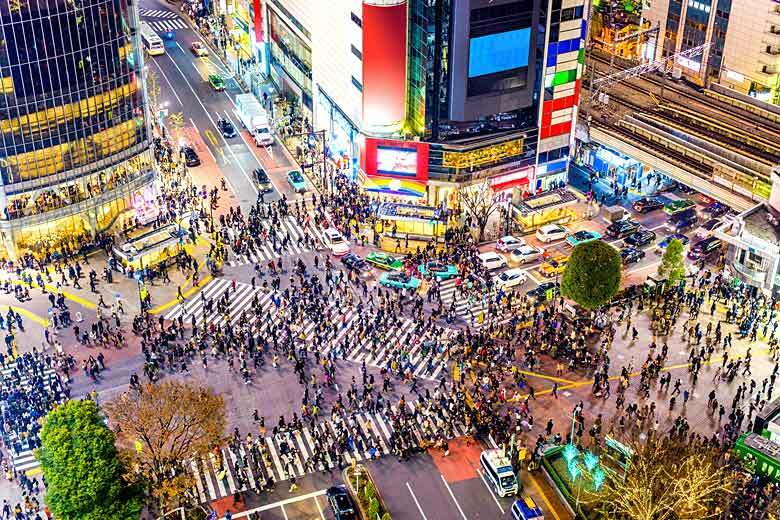 To see that, visit neighbourhoods like Akihabara for home electronics and anime- and game-related geekiness, Omotesando for contemporary architecture, sleek design and high-end fashion, and Shibuya or Harajuku for youth trends and street fashion. You could easily tick all the must-try Japanese experiences here: a night at karaoke, a meal at a conveyor belt sushi joint, and a spot of ramen slurping, to call out just a few. Beyond that, however, older neighbourhoods like Yanaka and Shibamata give visitors a glimpse at an older, more down-to-earth Tokyo that in places looks as if it's remained unchanged for decades. Despite Tokyo having been devastated by the Great Kanto Earthquake of 1923 and again by the bombing of World War Two, you can still soak up history here, with a visit to the Imperial Palace or a traditional stroll garden like Koishikawa Korakuen. 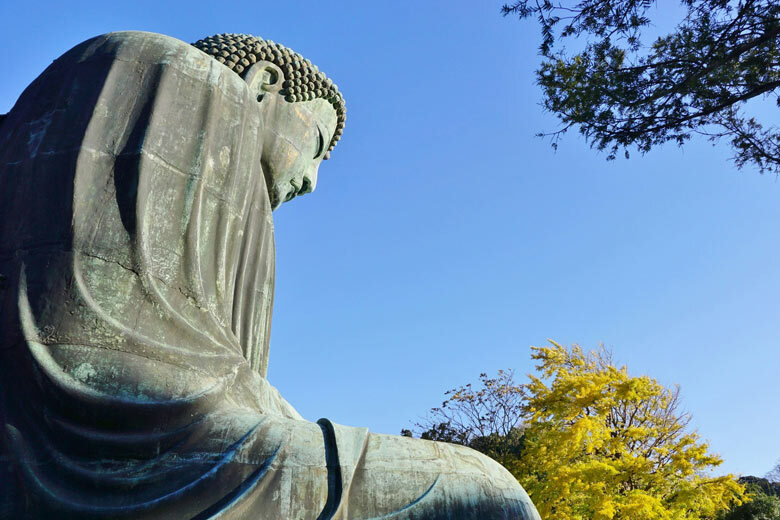 Using Tokyo as a base, you also have day-trip access to the UNESCO sites of Kamakura (the capital during the 12th to 14th centuries) and the elaborately decorated Toshogu Shrine complex at Nikko. You could trade the city centre for nature, with a hiking trip to Tanzawa-Oyama National Park southwest of Tokyo or a trip south to the pristine Izu Islands. The possibilities go on and on. Japan's capital for much of the 1,000 years before Tokyo took the helm in 1868, Kyoto is a modern city that nevertheless delivers tradition. Within it, you're never far from a remnant of Kyoto's years as the political, spiritual and cultural centre of Japan. This is where travellers can stroll the geisha district of Gion, perhaps spotting a geisha or maiko (apprentice geisha) shuffling between tea houses in kimono and clunky geta sandals. It's where to see some of the finest temples and shrines in the land, like the gilded Kinkaku-ji temple, the cryptic Zen garden at Ryoan-ji temple or the thousands of vermillion gateways at Fushimi Inari shrine. Add to that dozens of fine gardens - such as the mossy Saiho-ji the landscaped Tenryuji - arts and crafts (make Kyoto Handicraft Center a first stop for that), and foodie attractions like Nishiki Market. But it's not just about looking. You can immerse yourself in tradition, too. 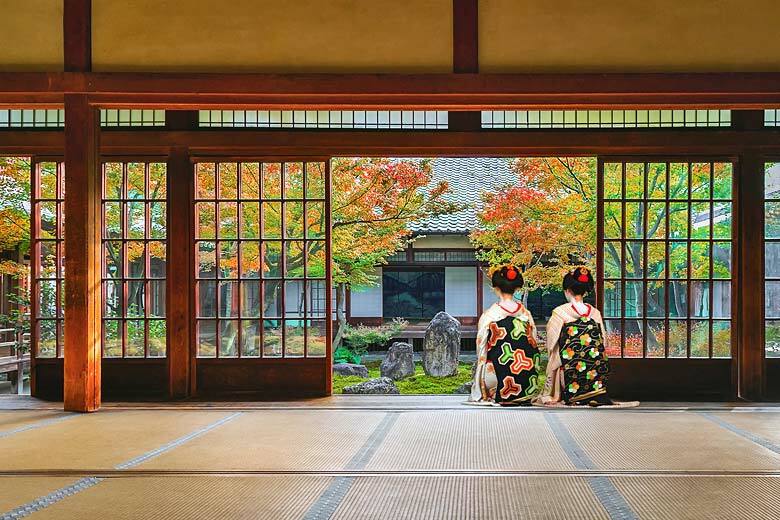 There's nowhere more fitting than Kyoto to try a tea ceremony or learn how to wear a kimono. When the cherry blossom briefly paints parts of the city pink in spring, there's little better than picnicking under the fragrant flowering trees. If you can cope with the high heat and humidity of summer, annual summer festivals like Gion Matsuri are wonderful ways to get a sense of old Japanese culture. And in places such as the Hiiragiya, Seikoro and Hatanaka, you could stay at some of the finest ryokan (traditional inns) in the country, enjoying the tatami-mat rooms, beautifully presented multi-course kaiseki dinners and calming atmosphere. When the bullet train service from Tokyo to Nagano was extended northwards in 2015, it brought with it a direct train from the capital to Kanazawa: the opportunity to be in a calmer, less crowded alternative to Kyoto in a little under three hours. As the Edo-era (1603-1868) power base for the powerful Maeda clan, Kanazawa prospered as the centre of the (then named) Kaga region, and like Kyoto, the city still wears with pride the traditions, arts, and culture that flourished under the Maedas. With Kenrokuen, Kanazawa is home to one of Japan's finest landscaped gardens. With the Nagamachi samurai district and Higashi Chaya geisha district, the city has preserved quarters that can rival anywhere else in Japan. The Omi-cho food market, though not near the scale of Nishiki in Kyoto, opens a window onto the region's cuisine and highly regarded sake. And there are local artisans all around the city specializing in arts and crafts such as Kutani porcelain, Kaga Yuzen silk dyeing, and Kanazawa gold leaf. The city makes a good regional stepping off point, too. With Kanazawa as a base, you could explore the Noto Peninsula and its dramatic, windswept coastline or visit the UNESCO World Heritage-designated Gokayama and Shirakawago, home to rural villages defined by steep, thatched farmhouses. Heading to the 2019 Rugby World Cup? Don't miss our dedicated guide to the weather and fixtures in the host cities. The main city on Hokkaido, the northernmost of Japan's four main islands, Sapporo is both a top winter destination and an escape from the heat and humidity that blankets the rest of Japan in summer. 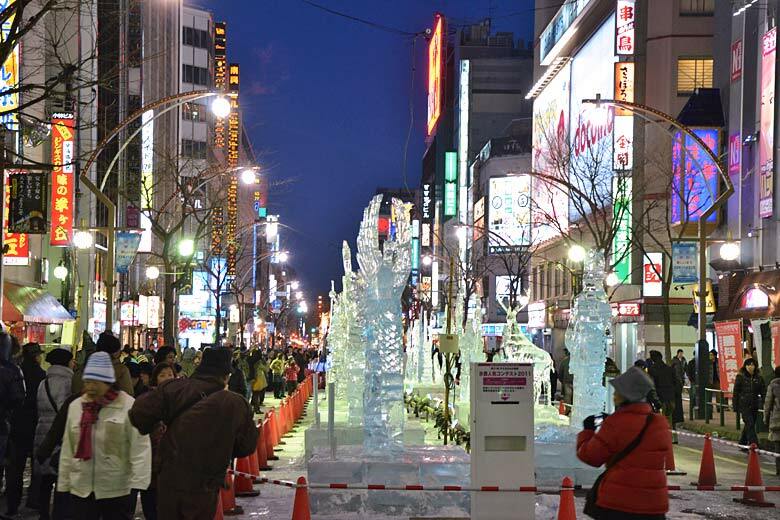 Over a week in early February, hundreds of thousands descend on the city for its main annual event, the Sapporo Snow Festival, which sees giant ice sculptures created in several locations around the snow-covered city centre. With or without snow, however, Sapporo is a lovely city to explore. Discover its mix of historic structures that highlight western influences on the early years of Japan's settlement of Hokkaido in the mid-1800s. Don't miss Odori-koen, the belt of parkway that cuts through the city centre. Then there's the local flavours. As well as excellent seafood, the climate has helped shape some of the best regional food in Japan - a lamb barbecue called jingisukan (named after Genghis Khan), a mulligatawny-like soup curry, and the local miso ramen. Sapporo also serves as a staging post for a side trip to the winter sports resort of Niseko, which arguably offers the best powder snow in Asia, and it will be one of the 12 host cities for the 2019 Rugby World Cup. You can't discuss travel to Hiroshima without looking at the atomic bombing on the morning of 6th August 1945, which, in an instant, claimed an estimated 80,000 lives. Not surprisingly, the city's most notable site is war-related: Hiroshima Peace Memorial Park, in which stands the UNESCO World Heritage-designated Genbaku Dome, the shell of what until being at the hypocentre of the bomb's explosion was the Hiroshima Prefectural Industrial Promotion Hall. The dome is iconic, and just one of many sights in the park - from the detailed museum through to moving monuments - that make a visit to this part of Hiroshima such a sobering experience. But Hiroshima isn't just about the A-bomb. Visitors find a fun, welcoming city, with major attractions that include Hiroshima Castle (a post-war rebuild of the 1590s original), the traditionally landscaped Shukkeien garden and local culinary specialties that run from Hiroshima okonomiyaki (a kind of thick savoury pancake) to the country's finest oysters. 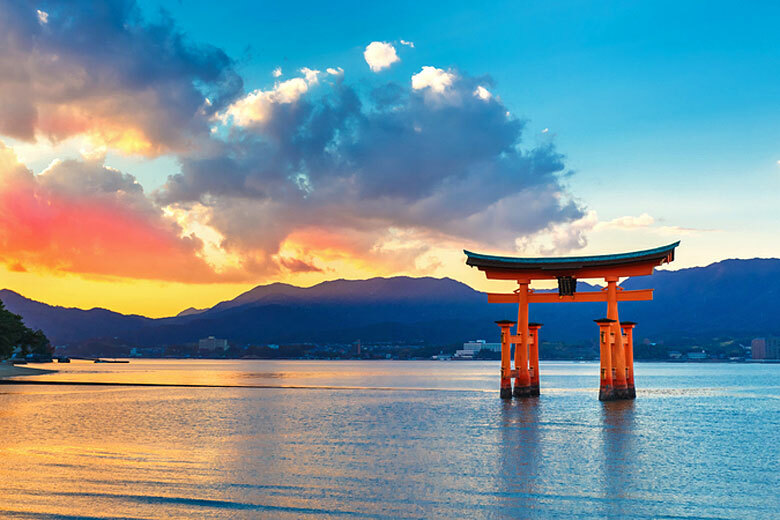 Leaving the city centre behind, few sights in Japan are as recognizable as the 17-metre high torii gateway at Itsukushima Shrine on Miyajima Island - an easy half-day trip away - which when the tide is in appears to be floating on the water. The weather in Japan varies greatly across the archipelago. Below you can see the average climate information for the weather in Tokyo, while our complete Japan weather guide includes other destinations. You can also find out when we think is the very best time to go. Tempted by the sights and delights of Japan? Check out the latest sale offers from British Airways to book your adventure to the east today.